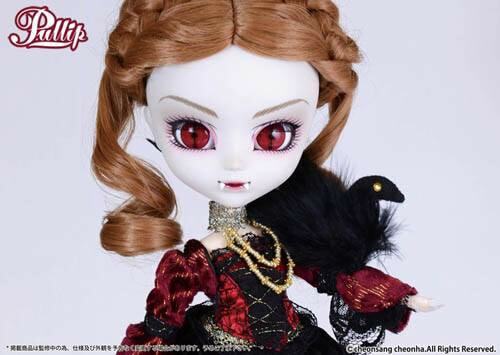 October 2014 get ready to meet Pullip Elisabeth's twin named Pullip Carmilla! 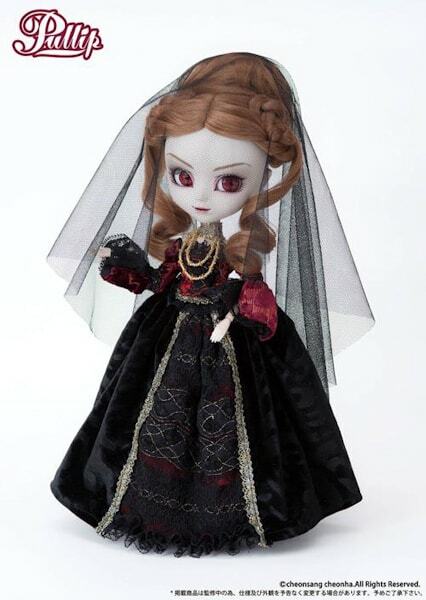 Visit eBay to order this fierce vampire! I hate to compare apples to peaches but I'm going to anyways. 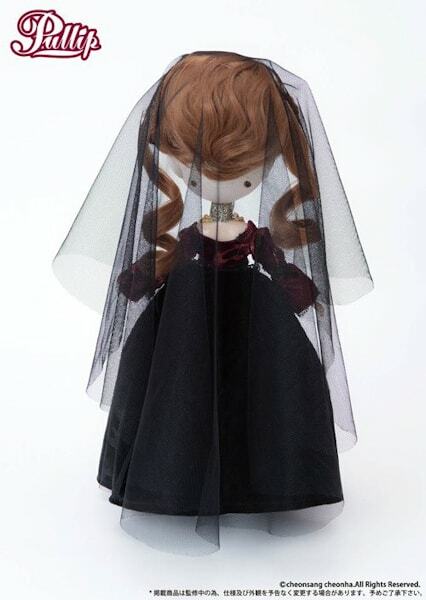 In 2010 Pullip Elisabeth was only priced at $100. Why is this version which is lacking in detail so EXPENSIVE?!? 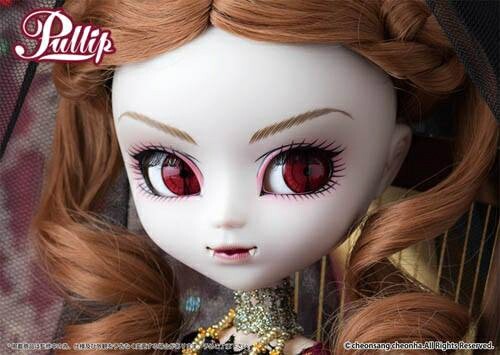 Which vampire version of Pullip do you think is the best, the 2010 version or the latest 2014 version? Leave a comment below in the comment section! I’m glad I’m not alone in thinking that 2014 hasn’t been the greatest of years for Groove. 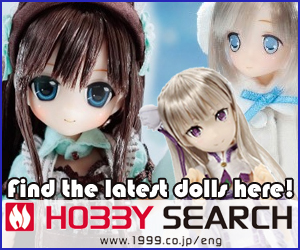 I haven’t bought one doll! 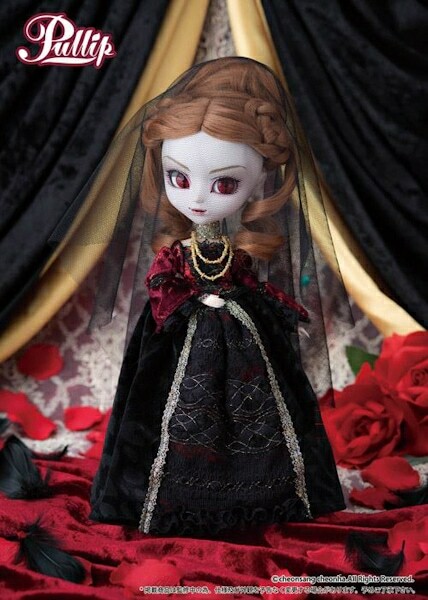 None of them have spoken to me which is great for my bank account but I have missed not having one of these gorgeous dolls appear at my door. I’d love it if they did re release Lilith but I can’t see that happening which is a pity as she was stunning. It annoys me how they keep on showing prototypes on their facebook page which they have no intention of releasing, they are far more detailed and imaginative then anything I’ve seen recently. Yes, it is very annoying, irritating, and very frustrating to see these prototypes that will never make their way into the hands of fans and collectors. I don’t know why they are doing it? Or why they are “sharing” this information with us now? 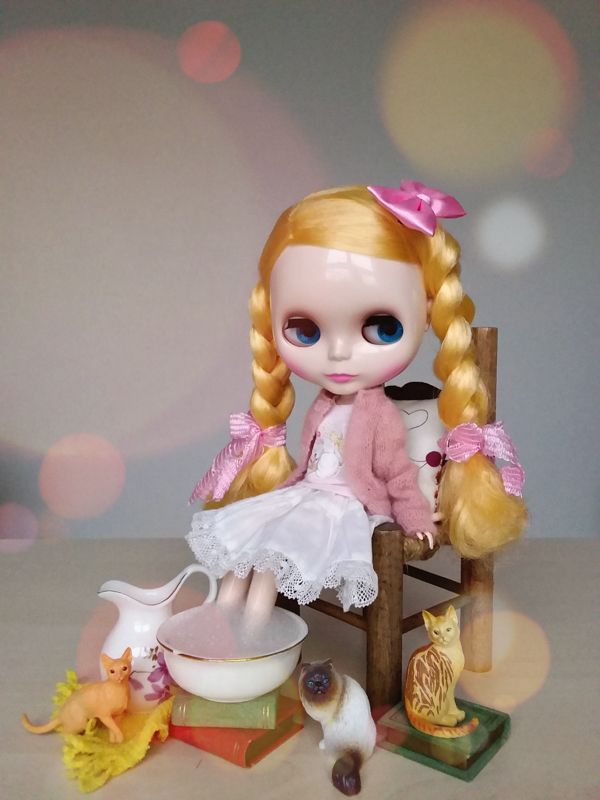 For me, this quote sums up what I feel 2014 has been for Pullip & family. 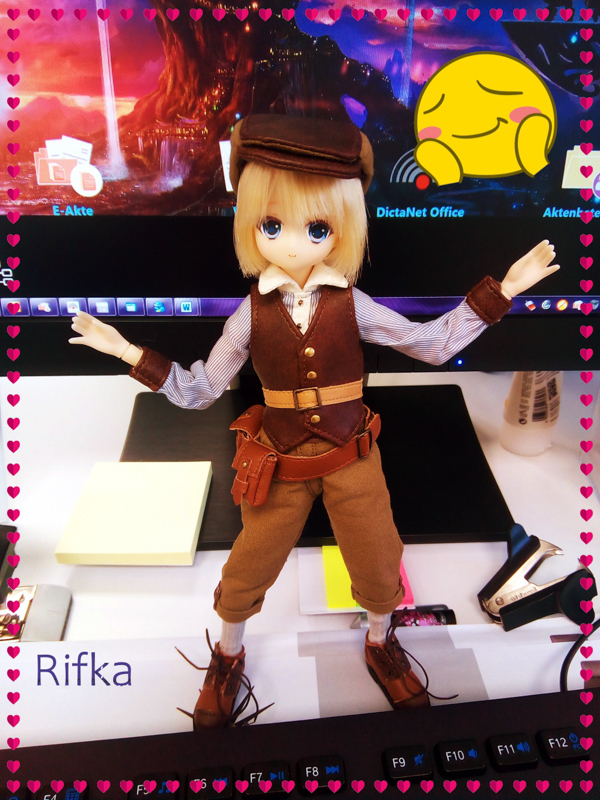 Pullip Elisabeth is better. I mean just look at her dress and don’t even get me started on her beautiful wig (scratch that I’m starting on her wig). 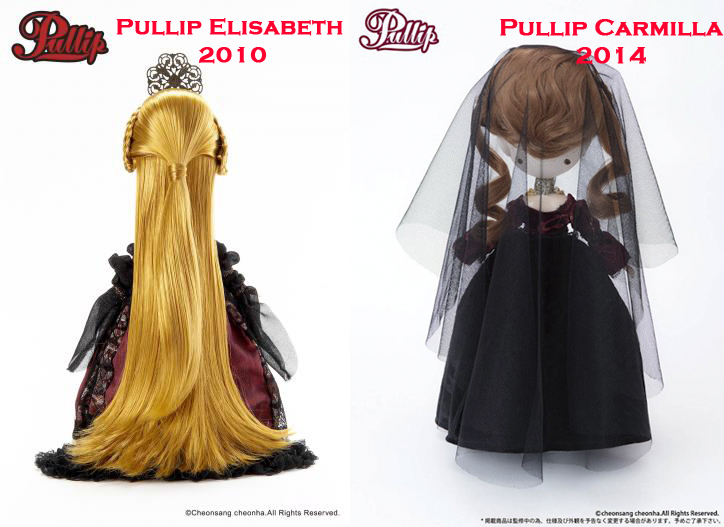 Compared to Pullip Carmilla’s wig, Elisabeth could be a hair shampoo model with those gorgeous locks of hair. 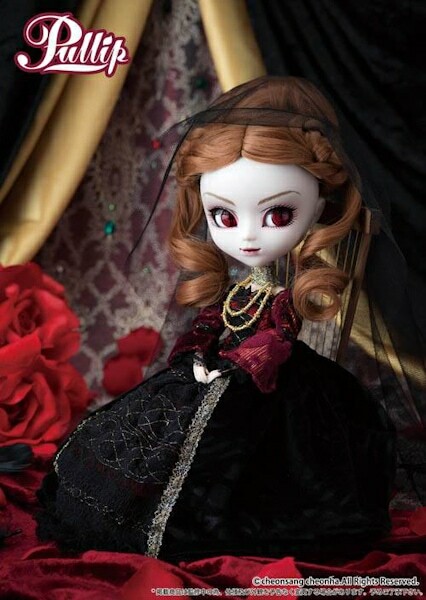 Pullip Elisabeth draws you into her world while Pullip Carmilla has you running in the opposite direction. Oh well, whether you call it a lack of creativity or effort, it all boils down to a lack of [insert your own word here]. 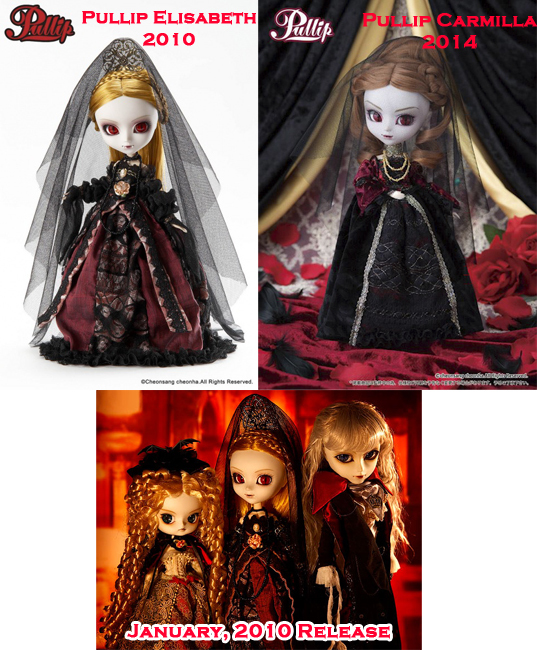 As defined by Merriam-Webster: “Lack is to be deficient or missing” and that’s what we got here w/Pullip Carmilla and with some other 2014 released dolls. Okay, I’m calling! 2014 is the year of the Lack! I’m sooOO surprised to see this. It makes you wonder if Groove is having issues when it comes to designers and creativity. Now you got me curious as to if Groove will recycle the handsome Taeyang next to her. Who appears to be Taeyang Nosferatu. well they have done the same thing with alice in wonderland every year so would it be that mcuh fo a surprise? Yep Johanna, I agree with everything you stated regarding Carmilla. There is just no comparison. 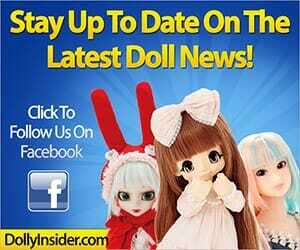 I don’t know but this year for Pullip/Groove has been so odd. I’m starting to miss the other family members. i have noticed that little trend myself. now with taeyang they never released him too much just because boys were not all that popular but he had more then he has this year. and isul.. im afriad they might be phasing him out, i’m not too sure. and to tell the truth with byul she wasn’t very likable in my opinion anyway. 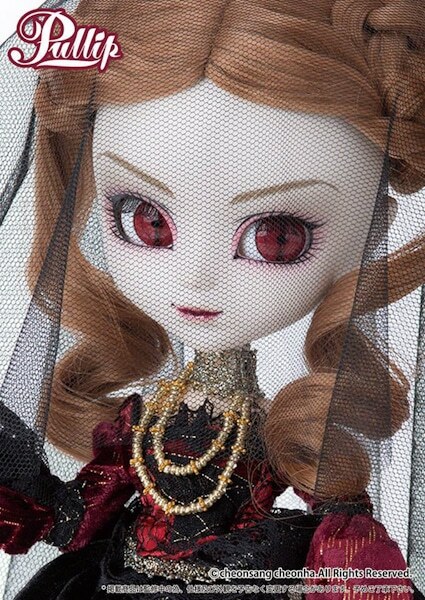 but yes too many pullips in the entire collection, they need to be more balanced witht hier releases. some of them you could say are more of a group, liek the sailor moon girls so you can techniclly say they all count as one. technically. 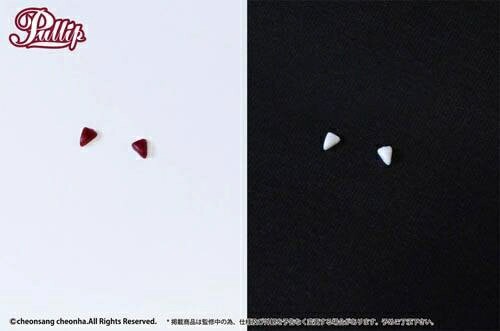 but where is tuxedo mask? he was a huge plot point int eh series. it is a pity abotut he boys they, we saw so many pretty ones lately that its just where did they go? 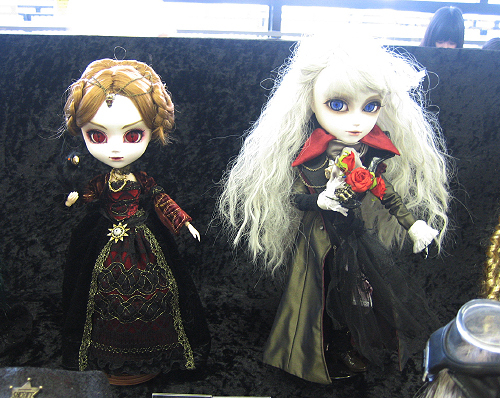 tooo many color differences to same pullip. too much money for so little.